Whiplash injuries are common, but car accidents don't always cause them. You can suffer from whiplash simply from turning your head too quickly. No matter how the injury occurred, it’s essential to receive treatment to ensure that you do not incur further damage. At Chiropractic Health and Wellness Center in Sterling, Virginia, Dr. Charles Arndt and Dr. Debarun Borthakur can provide manual adjustments for whiplash to relieve pain and restore normal movement. The term “whiplash” provides a good visual for the cause of this type of neck injury. Whiplash occurs when a person’s head jerks back quickly and then forcefully forward, just like the cracking of a whip. An auto collision where your vehicle is struck from behind is a common cause of whiplash, but other types of trauma such as forceful shaking or bodily impact in sports can also result in this injury. Whiplash can cause headaches, muscle stiffness, and neck pain. An untreated whiplash injury can cause chronic pain, negatively affecting your general health for years. Whiplash treatment involves much more than physical therapy. The circumstances surrounding your injury are just as important as the cause of the accident. Chiropractic medicine concentrates on addressing all aspects of an injury. This is important, as there may be more damage or other aspects of dysfunction than just the whiplash injury and symptoms. Drs. Arndt and Borthakur assess your needs and create a fluid treatment plan that takes changes in your condition into account. 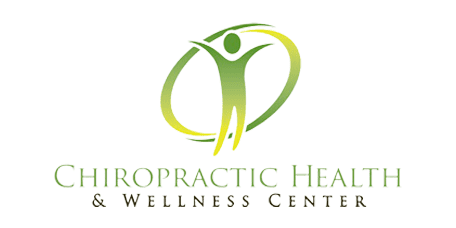 You will receive treatments for pain, spasms, and to improve your range of movement. This may include spinal adjustments, alignments, massage, and other therapies that address the injury. Will rest help me recover from whiplash? If you’ve suffered a whiplash injury, it’s important to stay active, unless the injury is so severe that movement would cause further damage. Dr. Arndt and Dr. Borthakur understand that movement is difficult when you’ve suffered whiplash, so you receive a full needs assessment before a course of treatment is prescribed. At Chiropractic Health and Wellness Center, you will be instructed on beneficial body movement in combination with physical therapy, pain management, and rehabilitation. Resting can also aid recovery when used appropriately. Each treatment is fully explained so that you’re aware of how it affects your recovery. Can you treat me after a car accident? Your care is in the best possible hands. Dr. Arndt and Dr. Borthakur create individualized treatment plans that focus on your particular needs because uniform treatments for complex problems have never been proven effective. When it comes to treating your whiplash, your lifestyle will always be taken into account. Medical science has proven time and time again that comprehensive care is essential in speeding up recovery times. Treatment of symptoms only serves to prolong the pain. Treating whiplash requires a much more focused approach to rehabilitation. The care you receive at Chiropractic Health and Wellness Center offers effective results, in an environment that is conducive to healing and wellness. So, what are you waiting for? Call or click today to schedule your appointment and get relief from whiplash.